Maria Montessori's method of educating children, which she details in this book, is based on a conception of liberty for the pupil; it entails formal training of separate sensory, motor, and mental capacities; and leads to rapid and substantial mastery of the elements of reading, writing, and arithmetic. 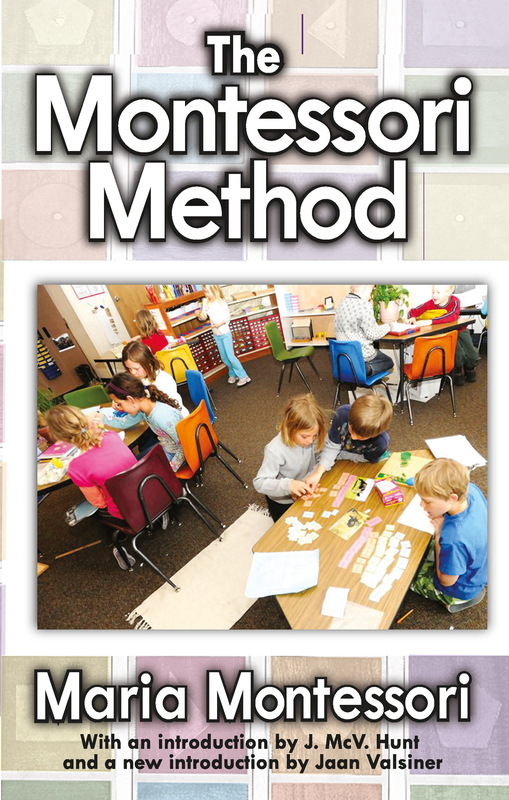 The Montessori Method is important because it springs from a combination of sympathy and intuition, social outlook, scientific training, intensive study of educational problems and the author's unusual experience as a teacher and educational leader. Following opening statements from J. McV. Hunt and Jaan Valsiner, Maria Montessori discusses topics including pedagogical methods used in the children's houses, discipline, diet, gymnastics, manual labor, education of the senses, intellectual education, methods of teaching reading and writing, language in childhood, and teaching of numeration. This classic volume in the education of children takes on urgent relevance for parents, teachers, and administrators in all parts of our society. The suburban mother seeking an environment of "structured freedom" for an imaginative, quick-learning pre-schooler; the educator jolted into awareness that slum children are irreparably handicapped by cultural impoverishment before the age of six; explorers of "new" techniques of teaching reading, of programmed instruction and learning by conditioning and reinforcement-by-approval-all these are instructed by Maria Montessori's theory and the reports of her work in the Casa dei Bambini in the slum quarter of Rome. Pedagogical Methods used in the "Children's Houses"